Privacy, convenience and comfort are hallmarks of this lovely 4 bed, 3 bath home in the lush Evergreen Meadows neighborhood of Coloradoâs foothills. Nestled on 2.45 acres of pine, spruce, fir and aspen, the grounds allow abundant sunshine to warm your flagstone patios and enchanting private garden. The spacious interior offers a main level master suite, bright with skylights, a vaulted living room with cedar ceiling and granite walled fireplace, updated baths, a granite, maple and stainless kitchen adjoins the dining area and patio garden. The lower, walkout has a rambling family room attached to an open bonus area that offers space for your imagination and needs. The extra beds and bath offer top floor privacy or office space. Artfully remodeled, your new home is ready for you to experience a mountain summer. 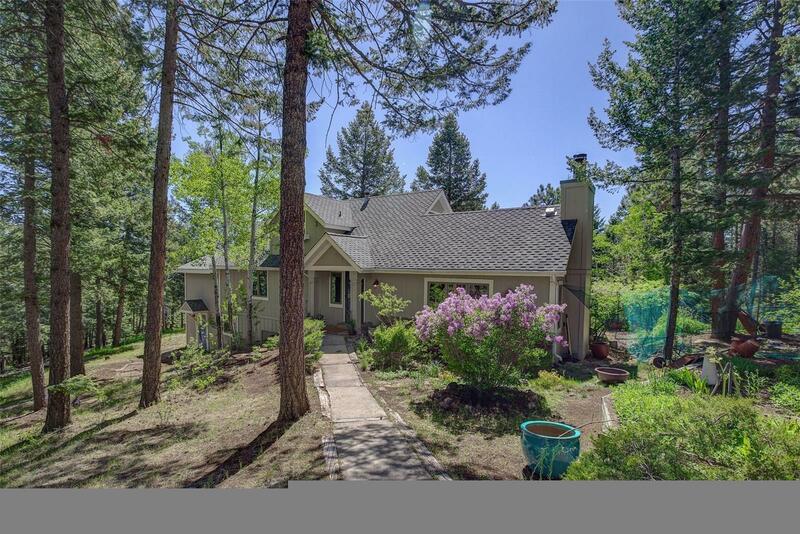 Quick access to Evergreen, Conifer or the Denver metro area and a head start to the mountain playgrounds to the west explains part of the appeal of this spectacular community.